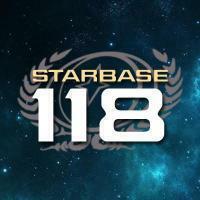 Arrival at StarBase 118 - introduce your character here! The first thing Joan Basilone noticed, as she made her way through the Promenade of Starbase 118, was just how short everyone was. Not that Joan towered over anybody. At a hundred and sixty centimeters, most of the sentient beings she had ever met were still taller than her. But she had grown up with four brothers who were all more than two meters tall. Add to that fact that most of her brothers' friends played on the same Epa'ani club as her brothers (and thus were quite sizable themselves), and it was understandable that Joan didn't feel quite as...Lilliputian...when she was away from the colony world she had grown up on. Joan stood beside a window displaying a variety of flowers from across the Federation and beyond as she took in all the sights. She had arrived a day earlier than required, and had spent a good deal of that riding the turbolifts up and down, finding a restaurant from her home world in the San Francisco district and just generally gawking. Not that Joan was the bumpkin she might have been considered when she first reported to the Academy five years ago. But San Francisco and other Earth cities didn't have the...grittiness, for lack of a better word, that SB 118's Commercial sector had. Or maybe a better description would be to say that the mingling of cultures on SB118 didn't feel as sanitized as it did back in San Francisco. Or at least that's how it felt to Joan. "For you, young lady," a voice said from behind Joan. Startled, Joan turned around to see an elderly male humanoid with a V shaped ridge on his forehead, about her same height, holding a small bouquet of red flowers towards her. "Moon blossoms," he added. "I just received a shipment yesterday." "I...thank you," Joan said, not sure how to respond. "They're beautiful." The elderly man nodded. "It's a small tradition of mine. Whenever a new class of cadets come in, one invariably finds themselves in front of my shop, and I like to make a small gift. A little service I can do for the fleet and government that lets me sell flowers in peace." The older man paused before adding, "I was about to close my shop for my midday meal. Would you do me the honor of joining me?" "It would be my honor," Joan beamed. The florist smiled and, with a bow of his head and a gesture of his hand, led Joan to the back of his shop. His name was Hraduk, and he obviously had a talent of putting visitors at ease. He served her a simple lunch, but everything came in courses, and each dish had a story of its history on Hraduk's homeworld. And after each story, Hraduk was able to pull a story out of Joan. Simple things, like learning how to surf at the age of six, or when she attended the university near her at the age of fourteen to take advanced mathematics while taking the rest of her classes at her high school. Over the entree, Joan found herself talking about how separated she felt from the rest of her family when it was discovered that not only had she not inherited her Haliian mother's empathetic abilities, but she was unable to mentally connect with her mother at all. And then how her family had rallied around her to make sure she didn't feel isolated. "The thing I want you to remember," Hraduk said, as he set a rice dessert down in front of Joan and himself, "Is that you will never be isolated in your career. There is a line from the playwright Shakespeare...Klingon or Human, I cannot remember...but it states, 'We few, we happy few, we band of brothers, for he today that sheds his blood with me shall be my brother.' That is the thing to remember, cadet. That will be the caliber of people you will be serving with. You must be ready to live up to that level." Hraduk looked up at the stylized clock on his wall, and when Joan followed his gaze, she noticed for the first time that it was in the shape of the emblem of the Starfleet Marine Corps. "I need to get back to work, Cadet," Hraduk said with a smile. "So I must send you on your way. But I would appreciate you keeping in touch. I like to keep in touch with all my cadets." Joan made her profuse thanks as Hraduk escorted her to the door. There were already two customers outside the door, waiting for Hraduk to reopen his shop. With a smile, Hraduk went to waiting on his customers as Joan headed down the promenade, flowers in her hands and more than a few thoughts bouncing around in her head.